As I promised I would be having a GRAND GIVEAWAY once I reach 300 Followers on my blog here I am with the GIVEAWAY!! 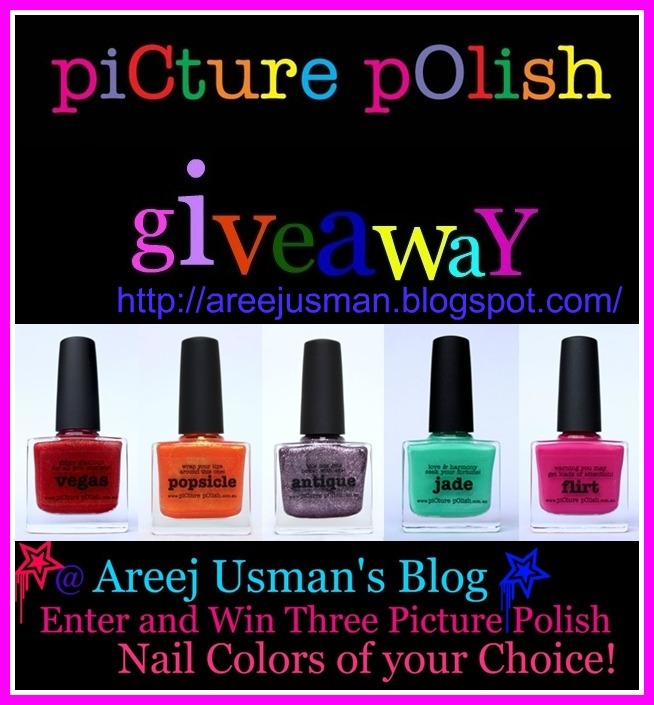 As a token for the appreciation to the love and support I am hosting this Giveaway sponsored by Picture Polish. There was a piCture pOlish blog fest held in July this year.If you want to know more about them Click this post! The lovely ladies were kind enough to sponsor giveaways for all the participant blogger’s blogs. One winner will receive 3 x piCture pOlish branded shades of their choice (Ozotic shades are not part of the giveaway)! Total value of the prize is $29.70. The maximum number of entries that a person can get is 12. This Giveaway starts today on 1st Oct & ends on Oct 31st!